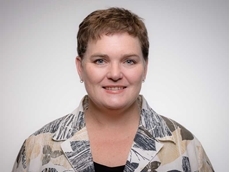 Michelle Baxter will focus on the Australian Work Health and Safety Strategy in her keynote address at the Safety First Conference in Melbourne in May. Workplace safety rarely makes the headlines today, but that’s not to say manufacturing is a completely safe occupation. Alan Johnson reports. Much work has been done in the past decade or so to prevent injuries in the workplace and reduce worker compensation claims, but there are still too many workers being admitted to hospital with serious injuries, or even worse. Everyone who goes to work, expects to come home at the end of the day, unfortunately that is not always the case. Safe Work Australia’s recent publication “Key Work Health and Safety Statistics Booklet 2014” reveals that Australia’s manufacturing industry is not as safe as many would have us believe. Data in the report shows that in 2011/12 (the most recent figures available) manufacturing was the second most hazardous industry in Australia, with an overall incidence rate of 20.9 serious workers compensation claims per 1000 employees. But while the manufacturing industry still has relatively high rates of injury, a decade or so ago the figures were far more shocking. The report reveals that injury rates have decreased by 26% over the eleven year period from 2000/1 to 2010/11, from 29.5 serious claims per 1000 employees to 21.7 respectively. However, over the five year period from 2007/8 to 2011/12, 113 manufacturing workers died from work-related injuries, at a rate of 2.21 fatalities per 100,000 workers. The most common causes of death over the five-year period were being hit by falling objects (22 fatalities); vehicle incidents (21 fatalities) and being trapped by machinery or between stationary and moving objects (17 fatalities); falls from a height (14 fatalities) and being hit by falling objects (13 fatalities). Over the same period, body stressing was the most common cause of injury and accounted for 41% of serious claims, followed by being hit by moving objects (18%), and falls, trips and slips of a person (15%). Len Neist, executive director of Health and Safety with Victoria’s WorkCover Authority says teamwork is the key to reducing the number of injuries in the workplace. “Our main message for all workplaces, including manufacturers, is for employers and employees to work together to reduce the opportunity for injury and the occurrence of injuries. Neist said employers and employees working together as a team can have a significant impact on reducing workplace injuries. “While a significant number of these injuries are back related, the data shows that these types of claims are reducing,” he told Manufacturers’ Monthly. Neist pointed out that Victoria has seen a decrease in back injuries in the manufacturing sector from 998 claims in 2009 to 848 claims in 2013. And while the Safe Work Australia report shows the rates of serious workers’ compensation claims increase with employee age, Neist says older workers have tremendous work experience and ideas, and with their insight can play a key role in creating safer workplaces in future. Neist says a safer workplace is not only of benefit to employees, but employers will also see a benefit with lower workers compensation claims. “Employers in Victoria for example, with assessed employee remuneration above $200,000, can reduce their payable premiums by pro-actively identifying and remediating potential hazards in the workplace and ensuring a good safety record. “Plus, all employers, regardless of their size, who pay their premiums early are able to receive early payment discounts,” Neist said. John Watson, General Manager of NSW WorkCover’s Work Health and Safety Division, admits work-related injuries are expensive, “be it lost time, increased workers compensation premiums or the human costs”. “We all want manufacturing businesses to be productive, but in a safe environment. “Recent reductions in workers compensation premiums go some way to helping NSW businesses bring down costs but the key to keeping costs low is reducing the number of injuries across the industry and getting injured people back to work,” Watson said. According to Watson, manual handling in NSW is the cause of almost double any other type of workplace injury. “While this is no surprise, there are many things businesses and workers can do to create a safer workplace,” Watson told Manufacturers’ Monthly. He said that some sectors of the manufacturing industry have been identified by WorkCover NSW as high risk. “Through our Focus on Industry Program, WorkCover is working with them to make their workplaces more productive, healthy and safe. Watson explained that the Industry Action Plan addressed five issues, including manual tasks at the workshop and manual tasks at client sites. Despite the risks, Watson says manual handling injuries are preventable and businesses can do more to create safer workplaces. He says businesses should also take into account the age, skill and experience of workers when assessing manual handling risks. Watson also said it was important for injured workers, employers and case managers to work together to ensure sustainable return-to-work results. 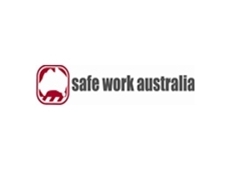 Safe Work Australia is confident the number of injuries and/or fatalities in the workplace will continue to fall over the next decade. To this end, the Australian Work Health and Safety Strategy 2012–2022 has an overall target of a 20% reduction in the number of worker fatalities due to injury, and a 30% reduction in the rate of compensation claims resulting in one or more weeks off work by 2022. A spokesperson for Safe Work Australia said the manufacturing industry has been identified as a ‘priority’ industry because of the high numbers and rates of injury and/or fatalities. The spokesperson pointed out that the industry has already achieved a 26% reduction in serious compensation claims from 2000/1 to 2010/11, and says further reductions should be possible though improved work practices and better industrial design.